In 17th century Europe, connoisseurs drank their port from schnapps pfeiffen- schnapps pipes. 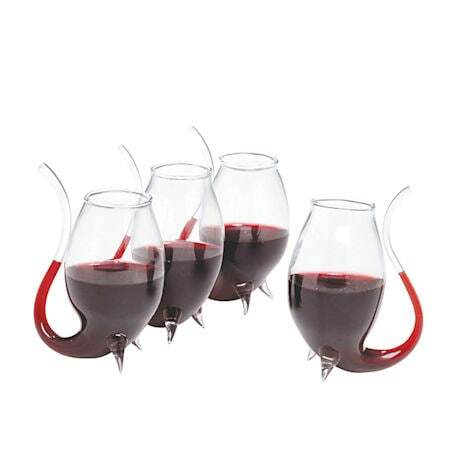 It's still a sophisticated and enjoyable way to savor port, dessert wines, or other liqueurs. Cradle the bowl in your hand to warm the contents, then sip slowly through the pipe. Set includes four 3 1/2" hand-blown glasses.